Last year Frontline Missions released the tenth episode in the Dispatches from the Front film series. It was an important milestone for us. The personal blessings flowing from a decade of reporting on the Gospel’s advance are too numerous to list. Add to those the notes and conversations I’ve had over the years with people about the impact of the stories on their lives, families, and plans, and the flow turns into a cascade! But it’s been a special blessing to meet men and women now serving in China, India, and the Middle East who have said the Dispatches films were decisive in God calling them to move to the other side of the world in order to reach an unreached people group with the Gospel. Watching Dispatches DVDs is kind of like watching someone else work out; you become inspired to get in the game with them. God's story unfolds in every episode, and you get to watch new generations of Christ-followers flex their faith muscles and pass on the Gospel. Kids (and parents) who have a big picture of who God is and the work he is doing in the world will grow big hearts for the nations and dream big dreams for their lives. It's no exaggeration to say that watching and discussing these films together has been invaluable to my family. All of this is shared with praise to God alone, as He has taken simple tools (a pen, a camera, and willing hands) to magnify His saving work in the world. His people are simply responding in amazement to His Story. Since the first film was released ten years ago, I have described each episode as opening another window to Christ’s kingdom. So far we have “flung open” ten windows, but there are so many more windows to open! We have now started a new Dispatches from the Front film series that will be rooted in the book of Acts. Every book in the Bible is a jewel in the crown of God’s revelation, but some of these books hold keys to unlocking other books of the Bible. Acts is such a book. Imagine having the Gospel accounts and then the epistles without the book of Acts. That would leave us with so many unanswered questions. How are there churches in Rome or Corinth or Philippi? Who is Timothy? For that matter, who is Paul? Luke “the beloved physician” provided a great gift to us by writing the story of the Church’s beginnings, the persecution it experienced, and the Gospel advance that occurred across the Mediterranean world. His account of Paul’s missionary adventures reads like a brilliant travelogue, which is understandable since Luke was often with the intrepid apostle. Whether setting foot in unreached Macedonia or floating on a plank as their ship crashed off of Malta, Luke was there. I imagine the pages of his journal were soiled with the sweat and dust of the road and, at times, soaked in salt water. This is why I often refer to Acts as “Luke’s Dispatches.” And that is what I am calling the next Dispatches film series. The plan is to have six Acts-based episodes with each story set in a major city or region in the book of Acts—places like Jerusalem, Athens, or Macedonia. Each episode will open in its biblical context from Luke’s dispatches in the 1st century, and then we’ll fast-forward to the 21st century to tell stories of Gospel advance in that very city or region today. I want to underscore that what Jesus began, He continues, and He will complete! This is because He is alive, and His Kingdom spans not just continents but centuries, too. His Gospel that was powerful in Paul and Luke’s day is still at work in our day as well. 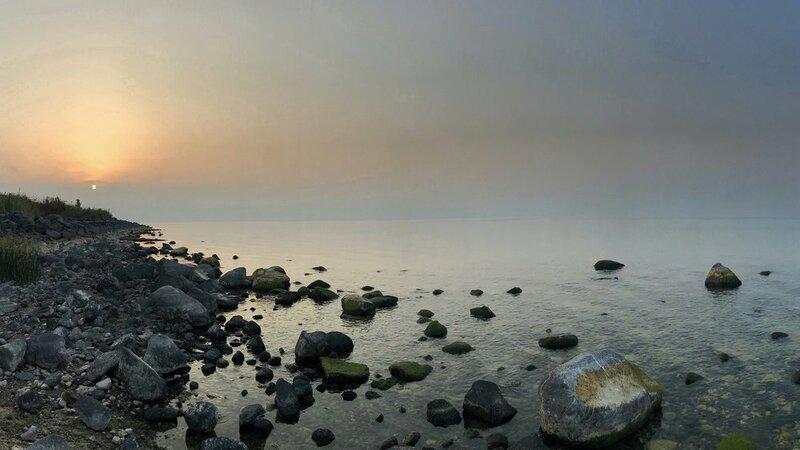 This resurrection reality is why I wanted to begin the entire story on the north shore of the Sea of Galilee, where the risen Christ appeared to His disciples “just as day was breaking.” His resurrection signaled a new day for all of His disciples—both then and now. So in August and September, Pete Hansen (who has been the man behind the camera since the beginning) and I were there. It was an unforgettable morning, and I can’t wait to share it with you. The masthead picture includes just a glimpse of what’s to come. This year the Christmas project is the next Dispatches series. Each episode will cost approximately $18,000. That’s a total of $108,000 for the six episodes. Amazingly, gifts totaling just over $30,000 have already come in. We are so grateful for that and would appreciate your consideration to help, too. We plan to film the series throughout the coming year with the release of the first two episodes in the summer of 2019. May Christ who came and died and rose and saves be magnified more and more through these stories of His grace. Please pray for Pete and me in this venture—for all the miles, borders, and unanswered questions ahead. Pray that we will have eyes to see Christ’s work and words to share it—all for His glory.